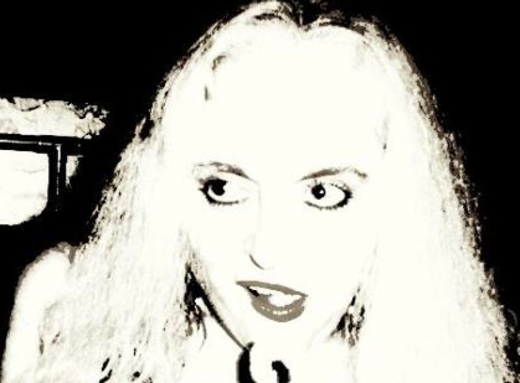 Justine Wilde delivers heavy, edgy, driving, hypnotic, Alternative Rock, Gothic-Industrial Rock, Glitch-Rock, and Rocktronica with wit and underdog audacity! Wilde captivates and challenges listeners with layered soundscapes of intense and uninhibited vocals, infectious melodies, driving rhythms, and thought-provoking lyrical tapestries. Her music is a hybrid of fierce, transformational alchemies, compelling and impelling listeners to visit, and re-visit the dark, innermost, un-traveled, and oft unraveling corners of her and their psyches. Entrenched in the reflections of a gritty metropolis, Justine Wilde is Avant-garde yet accessible, dark but enriching. She effortlessly extends the auralscape, exploring uncharted musical territories, defying preconceived notions of genre, conventional music, and even unconventional music. EVERYTHING and nothing Trailer Featuring "Turpentine (Filthy Instrumental Mix)"
Spin Magazine / BMG "Hot Pursuit" Semi-Finalist. MusicNation Featured Artist: “This New Yorker brings a blues-y soulfulness to her whip-smart songwriting." Bassist/Vocalist on the soundtrack for the feature film, “The Vacant Lot” whose score was composed by renowned SNS Orchestra conductor Scott Macmillan; also contributed to the soundtrack for which I am credited and played a major role (Sandra) in the film. “The Voice” of “The Leading Edge” award-winning, prime time, Canadian TV show (2-year contract). I Strive. Stay alive. Lust to exceed the scope of my artistic dreams. The best of me is in my music: it is my air, my love, my blood. As you journey into my world, I hope you are moved by these sounds called my songs and impelled to dwell herein. Doin' my thing, hearing the music of the spheres…writin' and rockin’ on.